9 stress busting tips that actually work! “Change is the only constant”, an age old saying that has been applied time and again. Take for instance the modernization of agriculture. Thousands of years ago hunters and gatherers collected food and saved themselves from starvation but with the transformation of society and renewal of agricultural methods, people are now being able to grow their own food with modern machinery and techniques. All the greatest civilizations have evolved due to ‘ Modernity’. Even after so many years of nation building and important invention or discovery, there is one thing that remained steady and that is nature and all its elements being dynamic. The whole idea of change got us to a point wherein free Wi-Fi is preferred over free books and comfortable lies are chosen over unpleasant truth. In this information age life is way easier than it was ever before and everything that we want is literally just a home delivery away. The modern way of life is nothing but a rat race of people and nations to match up the pace with their contemporaries just so they don’t lag behind. This competitive life has given people a way to earn incentives and get all other benefits that come along with it. However such lifestyle has also given obesity, headache, heart problems and stress to people. Stress is an unwanted outcome that comes hand in hand with modern lifestyle. Most people don’t realize it or tend to ignore it deliberately but stress is a common product of a busy life. Sometimes it is perfectly alright to be stressed, as it drives people to push their limit and put a little bit more effort. Experts believe some amount of stress can help people to accomplish their tasks. Nonetheless overstress can bring very many health hazards in a person’s life. Hence it is vital to understand, what is stress? And what kinds of stress are you are dealing with? Stress is an immediate and panoramic reaction to any kind of unwelcome situation or changes. The response and the capability to deal with a stressful event might vary from person to person. For some this ‘tension building’ condition can be short term and might actually work in their favor, while dealing with a critical situation. When your body detects stress it causes a surge of hormones in your body. A small region in the base of the brain called the hypothalamus reacts by stimulating the body to produce hormones that include adrenaline and cortisol. These hormones help you to deal with any threats or pressure you are facing - which is called the ‘fight or flight’ response. Adrenaline increases your heart rate, raises your blood pressure and provides extra energy. The body’s response to stress usually regulates itself. As your hormone levels fall, your heart and blood pressure will return to normal. For many there can be a long lasting affect and stress can be an agent which gives birth to a variety of health related problems. People all over world are victims of stress and problems related to it. Students feel stressed through out their school and college life to be an all-rounder, homemakers and employees feel burdened with their daily activities and the monthly targets that are ought to be achieved. Globally about 40% of people in The United States and France; 60% of people in Japan and around 35% of people in Australia suffer from moderate to high stress level as per the studies of the experts. • Thinking And Overthinking: Many people tend to dwell and fix their mind on something bad that happened in their life. Generally people overanalyze a negative incident and this puts pressure in the brain, which can bring hassle in their health and life. • Dilly-Dally: These days everyone is loaded with all kinds of tasks at their home, work place and life in general. While there can be various reasons to delay the works given to them but sometimes people procrastinate as they feel frightened with the amount of work given to them. This can create resentment, irritation and stress. • Unsocial Media: All of us know the influence of Social Media and the impact that it has created. Social media in many ways helped people in true sense like connecting with old friends or staying up to date with the current trends. Nevertheless it definitely has many negative consequences as well, one of which is self-doubt. Folks fall into the trap of comparing themselves with the one who has many ‘followers’ or maximum ‘likes’. This leads them to suffer from insecurity and detach themselves from all of these. But disengaging oneself from social media is not helpful as this mindset is powerful enough to cause stress in life. • A Shabby Space: Keeping everything in an orderly fashion and systematic is not just a skill but also makes our easier but many people take it too seriously and a slightest change can turn their world upside down. Sometimes they don’t know how to go about it or what to do with an untidy space, making them frustrated or upset. • Binge Eating: Very often when people are in a state of anxiety, they tend to eat ice-cream, chocolates and relish a variety of desserts to lighten up their mood. While trying these foods may not create any significant change initially. However relying on sugar can be very harmful and can cause stress. Presence of Aspartame in sweet food can be bad for the health and can cause fluctuation in the blood sugar level bringing unstable behavior in people. • Catastrophic Addiction: It is a common practice among many to drink several cups of coffee or tea in a day when caught up with a lot of work or consume alcohol when tired. These filthy habits can be disastrous for the body. Excessive caffeine intake provokes the nervous system, increasing blood pressure and heart rate that can lead to uneasiness or agitation. Alcohol on the other hand produces hormones that triggers stress and escalate blood pressure and heart rate. In today’s progressive world many are concerned with their well-being and if anything goes wrong they get paranoid. Besides there are also some others who completely neglect their health and keep harming themselves out of sheer ignorance. Thus there has to be a middle ground in order to bring a perfect balance between people with such divergent ideas. Finding out that you are traumatized is not good enough, it is equally necessary to recognize the types and sources of stress and then strategize your de-stress mechanism. Here are some tips for you to follow. So slowdown and relax when faced with disturbances. Take a probiotic: There are 10 times more bacteria in the body than your own cells, so it makes sense that these organisms affect our bodies in profound ways, ways that we are still slowly unraveling. Studies have shown a direct correlation between gut microbes and the central nervous system. When your gut is functioning well, your stress levels decrease. Taking a probiotic will populate your gut with ‘good bacteria’ reducing stress and anxiety. Take A Break: It is very usual for people to be strained in an adverse kind of situation, or think about the worst possible scenario, or an unfortunate incident. When all of these happen try to pause your thoughts and disconnect yourself from that state. 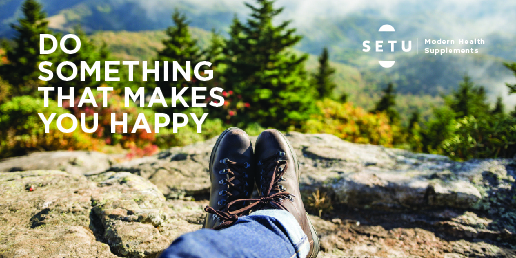 Try and engage yourself into something that makes you happy or at least entertain you. Plan It Through: Instead of worrying about the vast amount of work that has been given to you, try to manage your time and schedule your work. Time management and better organization can not only help you complete your tasks but also remove pressure from life. A Friend In Need: In this busy life there is hardly any time left to communicate and discuss life related issues with our close one. However the next time you feel stressed about something try to talk it out with a friend or family, this actually can lighten your mood and make you feel better. Keeping everything to yourself and bottling up your problems can bring more tension in life. Power Of Music: Although there has been a very little study and investigation on the effect of music to reduce stress. 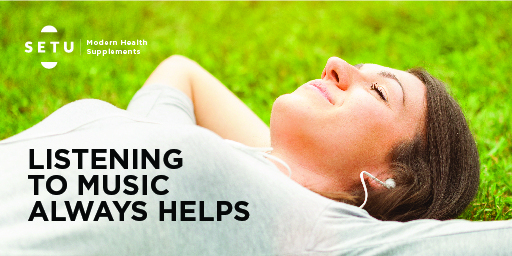 For many listening to soothing music works like a stress buster, as it improves the psychological stress system. A Good Night’s Sleep: For many it is a standard part of their routine to avoid sleep or to get sleepless, when they are piled up with work or if they come across a stressful situation. Doctors recommend 7-8 hours of sleep as it can lower the stress level. Proper sleep can control blood pressure and reduce cholesterol level. Wakeup and Workout: Any kind of fitness regime can solve a huge deal of health problems. It is important to start the day with a little bit of physical activity. An hour long exercise produces endorphin chemical in the brain which is a pleasure to your body. Yoga is another form of physical and mental discipline that deals with controlled breathing, meditation and so on. Yoga can lower blood pressure, heart rate and can be a way of relaxation. Focus On ‘Take Away’: This is indeed a very hard step to follow but it certainly is the most valuable thing to remember. It is important to understand every event teaches something. Therefore instead of panicking when faced with a stressful situation, you should be prepared and learn to look for the lesson. Each experience is a new learning for all. If you are bored with your life and waiting for something amazing to happen, stop your thoughts right there. Don’t wait for the transformation to happen instead be an active part of it and change your life rather meaningfully.